Every cyclist is looking for gear to make their rides more efficient, fun, informative, and engaging. Take a look at some of the following pieces of technology, gear, and accessories that you can use on your next bike ride. This is a really cool and useful piece of low-tech gear — the B.Y Handle Lock is a very oversimplified lock made for bikes. 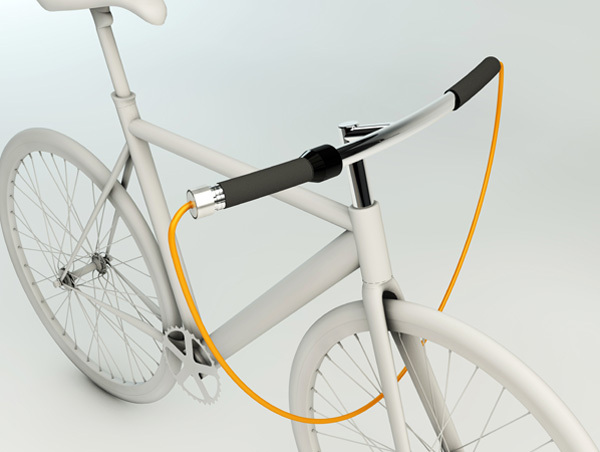 How it works is an extending wire comes out from one end of each handle and loops into the tire track of your bike. It is secured with a number lock on the other side. 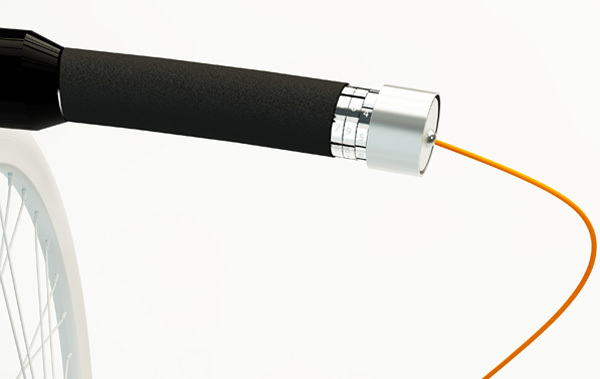 The point of this great piece of security gear is that it uses a heavy duty wire so it can be secured to a tree or a fence as well — just loop this into your spokes and your bike is already safer. Great design and great concept. 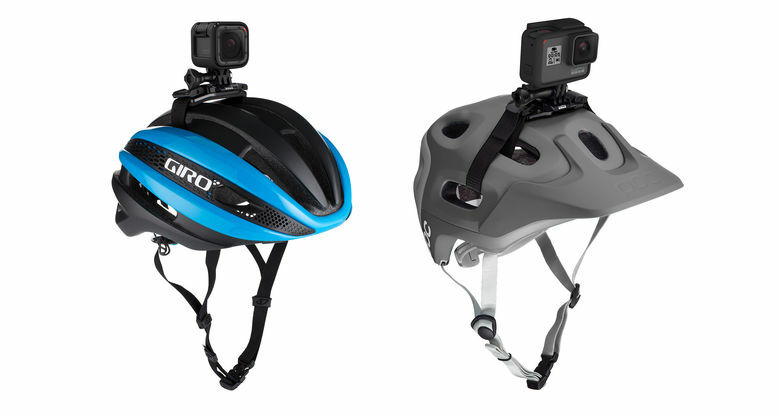 For only $14.99, you can purchase a Vented Helmet Strap Mount so you can attach your GoPro camera to any vented bike helmet (as well as kayak, ski, and other vented helmets). 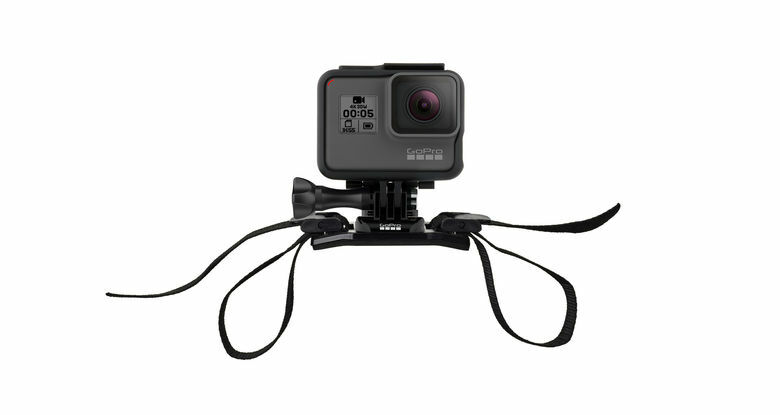 If you want to film your adventures, purchasing this strap mount directly from GoPro will ensure that you can use any GoPro camera on your next race, mountain adventure, or cyclocross journey. This strap mount attaches to any vented helmet, has an adjustable strap for easy and quick mountain, and is one-size-fits-all. 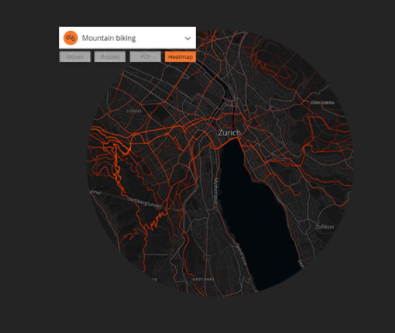 Discover new routes with heat maps via the Suunto Movescount and Movescount App in order to find the best places to ride your road, CX, or mountain bike. Heat maps are incredibly useful because they reveal the tracks that are most frequently used by others in the Suunto Movescount community around the world – -this is based on millions of what Suunto calls “Moves,” which is essentially the app tracking its wearers to see where the most popular routes are — as well as some of the out-of-the-way hidden gems. 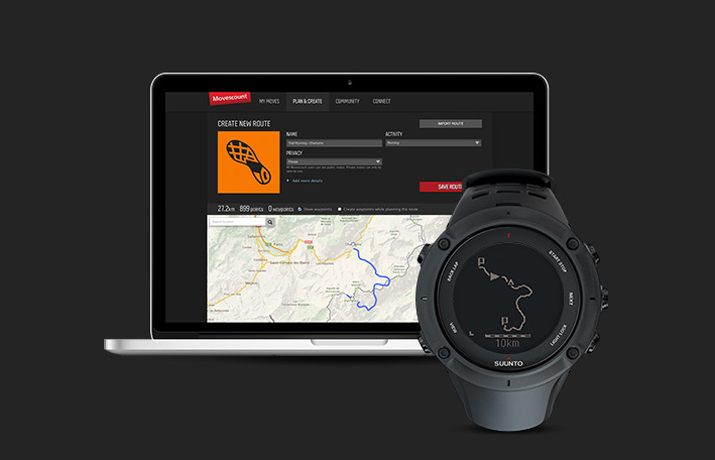 With the Suunto Movescount technology, you can plan your own routes with the help of rich, topographic maps. 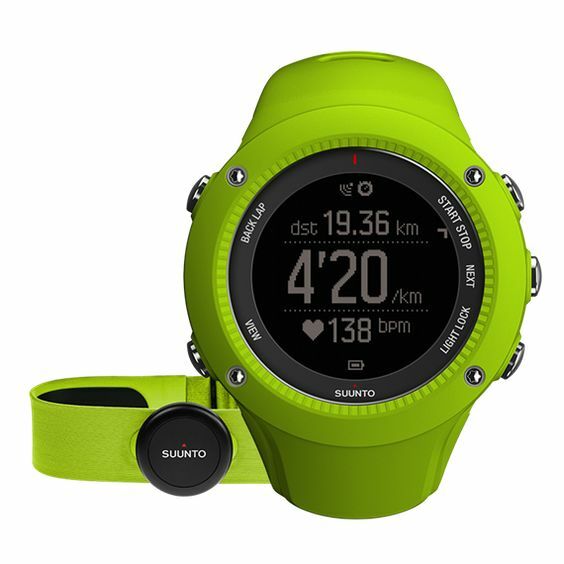 Track a heat map or make your own route — connect your compatible Suunto sports watch to navigate the route with your watch. It’s that simple. One of the more interesting and unique bike lighting systems is Revolights — this incredible lighting system is handlebar activated so that the rider can use lighted turn signals, Bluetooth, check real-time battery life, check one’s speed in real-time, and use distance tracking. It’s almost like having a car dash on your road bike. The Eclipse + is a model by Revolights that is highly recommended — not only does it utilize all of the features above, but it is also very beautiful, it keeps you visible to drivers at night, and it offers 360-degree visibility. The Revolight system is theft resistant and water resistant as well, so you don’t have to worry about riding in the rain or cyclocross in the mud. Using its wheel-mounted LEDs, this unit looks like a Tron Light Cycle — but the great part is, it’s fully functional and has some great tech to it. The back wheel illuminates red and the front wheel illuminates white — just like in a vehicle — this makes it easy and intuitive for drivers on the road to know if you are headed their way or biking in the same direction. There is an auto on/off switch so that you can choose whether your lights turn on automatically or not when you are about to ride your bike, for example. This is great for riders who commonly bike ride at night or in poorly lit areas. The use of turn signals can be activated through the companion app on your smartphone — and you can use your turn signals right from the handlebar. The app also helps you out by providing weather alerts which will remind you to bring a jacket for the rain. The Ride Tracking feature of the Eclipse + Revolights will track your ride with very high accuracy and will provide you with rich data automatically via your application. You can review this data anytime for a better look into your journey. The battery status is displayed in real-time on your handlebars and you will receive an alert when the battery charge is low. The price of the Eclipse + Revolights unit is actually priced very reasonably — you can purchase it from Revolights.com for only $249.00. If you are a lower tech type of person and want to be able to track your cycling progress without high-tech gear on your handlebars, take a look at the Garmin Vector. This pedal-based cycling power meter allows you to gauge your training intensity with extreme precision. These pedals function just like your high-end road bike pedals do, and they work seamlessly with a compatible Garmin device. Train smarter and get to know how you ride. All you need to do is purchase the pedals and you can have them installed in minutes. 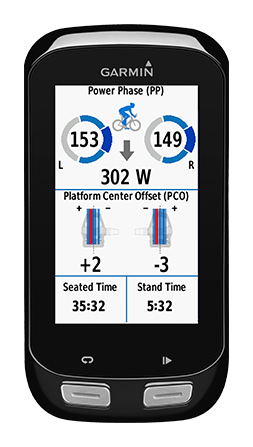 The new design of the Vector 2 model also makes it easier to swap out the power meter between bikes fast. The battery is a simple 2032 coin cell and can be replaced yourself any time.